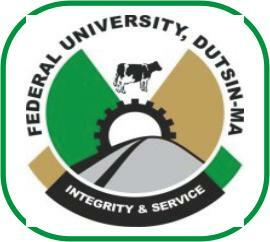 Federal University Dutsinma, FUDMA Online Course Registration Guidelines for Newly Admitted and Returning Students for 2018/2019 Academic Session. This is to inform all returning and newly admitted students of the Federal University Dutsinma, FUDMA that the registration procedures for 2018/2019 academic session has been published. All newly admitted students who has made payment for their acceptance fee and screening/clearance exercise are to proceed online for their registration. Returning students are also advised to follow the procedures below for the registration of their courses online. Kindly Go to your department to confirm the approved number/combination of courses for the given semester.